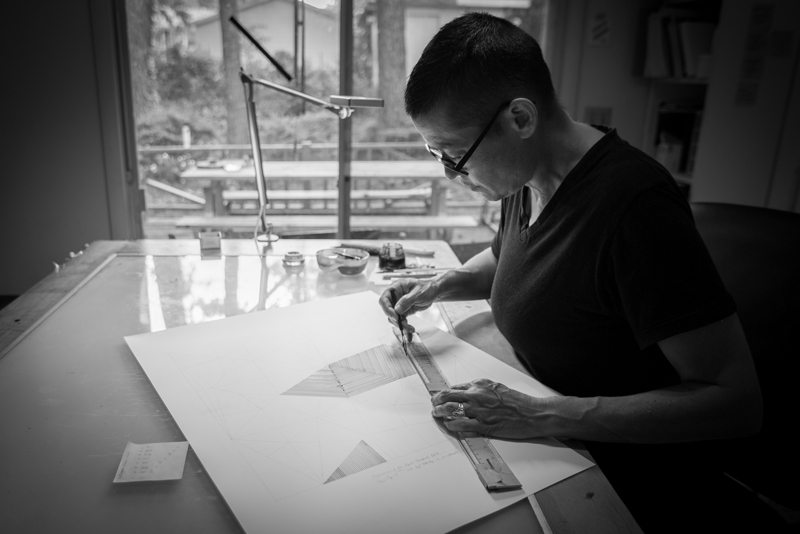 Heather Gordon maps the poetry of people’s lives using numbers and geometry. Focusing on the design of origami folding patterns using small data sets, she coaxes narrative from personal information including geographic locations, birthplaces of family members, dates, and time durations. Through her collaborative work with choreographer, Justin Tornow, and COMPANY dancers, she has extended her work to include site-specific installations and the interpretation of her narrative maps into movement.